Offering you a complete choice of products which include hinges, industrial hinges, industrial hinges casting and door hinges. 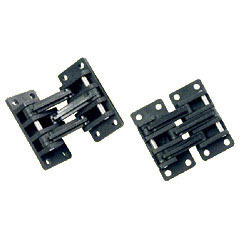 Available with us is an extensive gamut of Industrial Hinges that are primarily bearings which are used to connect different solid objects and allow them the least angle of rotation. 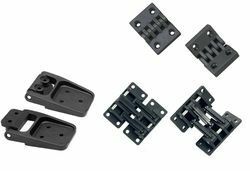 Acknowledged for their superior finish and high durability, our range of industrial hinges includes door hinges, building hinges, butler tray hinges and others. We manufacture these industrial hinges using premium quality brass, aluminum, stainless steel with heavier gauze provided with standard hole placement, which ensures that these hinges remain avenge-free. Also available in engineering plastics. We Bhm Corporation supply a variant range of Industrial Hinges Casting that is widely used for building and hardware purposes. 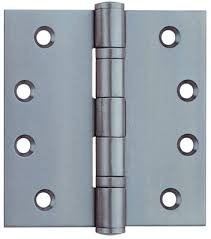 We are identified as one of the most competent organizations of this industry, betrothed in providing a wide assortment of Door Hinges.